The latest issue of one of my favorite quilting magazines is just hitting newsstands – Quiltmaker’s ever-popular 100 Blocks’ 12th volume – and I am participating in the blog tour today. 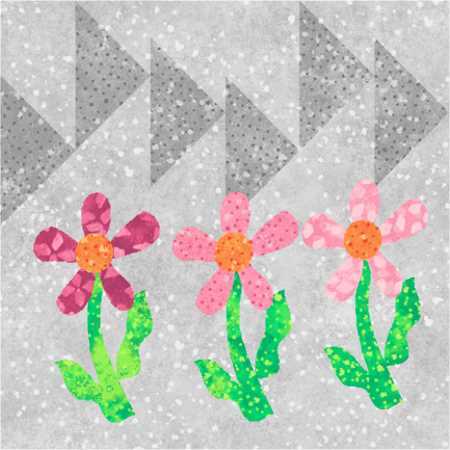 Northcott is one of the sponsors, and is providing some prizes, so for your chance to win one of the packs, please visit Quiltmaker’s blog at http://www.quiltmaker.com/blogs/quiltypleasures/ and leave a comment. 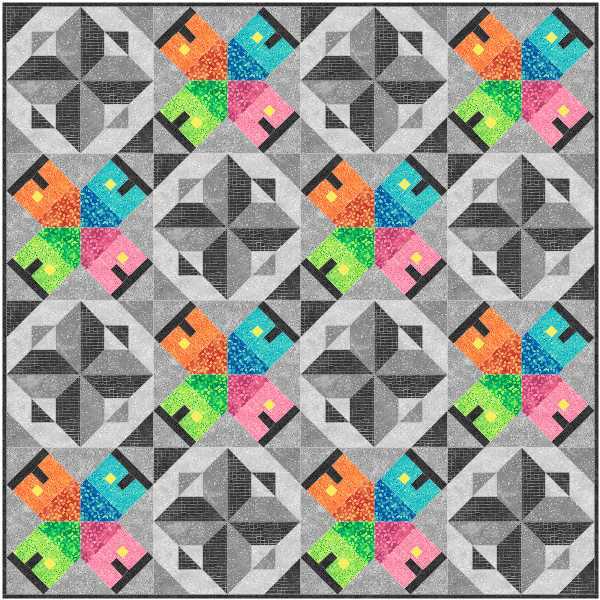 Web editor Diane Harris has added a couple of interesting features to this volume’s tour, including a daily tip and a complimentary itty bitty block pattern – how fun! I have participated in several 100 blocks blog tours, and I must say that I just love the feedback that I get from my visitors. 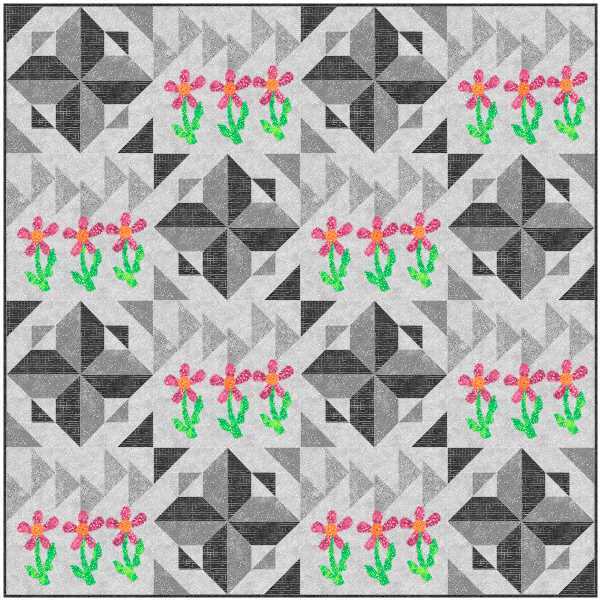 I usually take some of the blocks, either made using Northcott fabrics or designed by a pattern designer who also designs patterns for Northcott, and I recreate them in the fabric collection that is featured in Northcott’s ad in the issue. The Ambience collection includes a range of 8 values in 6 eye-popping fresh color palettes, plus a STRIP-R and No-Sew Circle fabric for each palette. 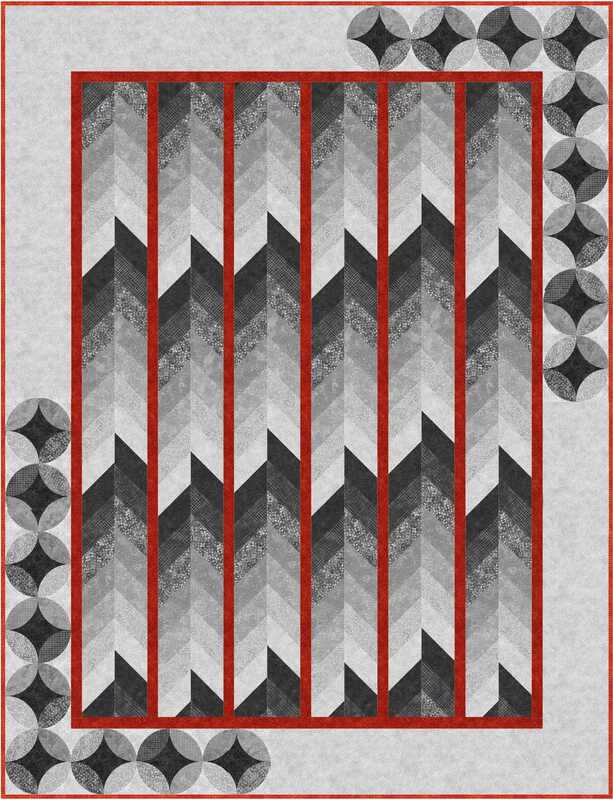 To recreate the blocks from Volume 12, I worked with the 8 values in the twilight palette and added a few fabrics from the other palettes for contrast. 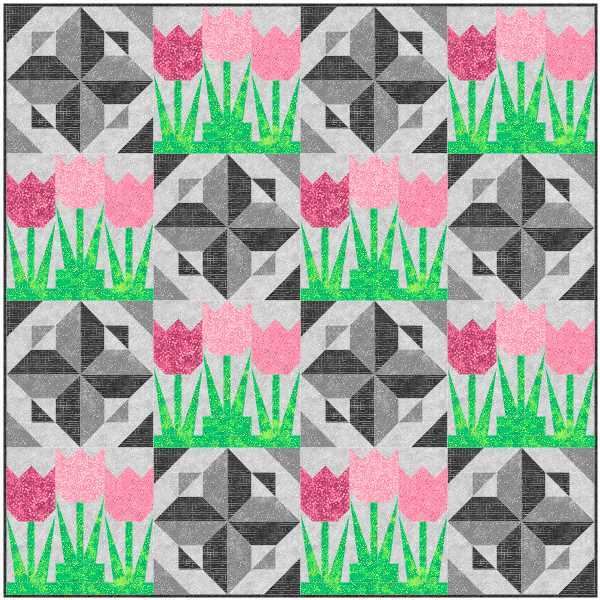 #1115 editor Carolyn Beam’s Tulip Patch block, originally made with Artisan Spirit – Panache. Here is my version in Ambience. 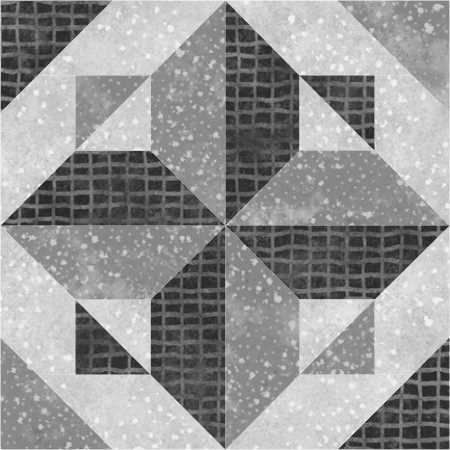 #1130 Karen Bialik’s Townhouses block, originally made with Artisan Spirit – Shimmer. Here is my Ambience version. #1145 Chris Hoover’s Easy Breezy block. My appliqués are slightly different, since I have not yet mastered appliqués in Electric Quilt. 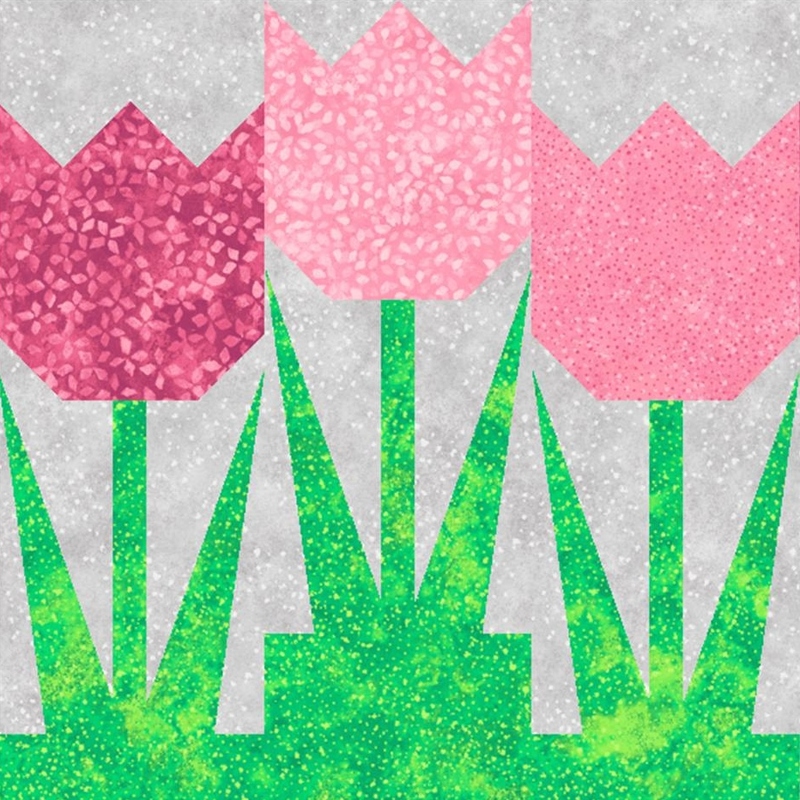 I chose pinks for the flowers. #1193 Celine Perkin’s Rock Candy block, recolored here with Ambience. 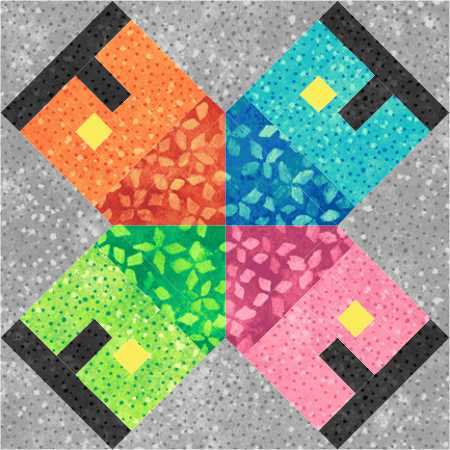 Notice how Celine’s and Karen’s blocks work well together – the side triangles on Karen’s block extend the edges of Celine’s blocks to create an illusion. Now, I have 3 prize packets of fabric to give away as well, but I would like your opinion. For a chance to win a packet, please leave a comment telling me which block above is your favorite, AND which quilt or runner (#1 to 7) is your favorite. It’s always so interesting to see what you have to say, so please don’t be shy. Don’t forget to visit Quiltmaker’s blog at the link above for a chance to win one of their packets, and also to see what the other bloggers in the tour have for you as well. Most of all, thanks for stopping by, and enjoy the latest issue of Quiltmaker’s 100 Blocks.